I was stumped. After hours googling phrases like "Google Analytics two tracking codes on same page," I had gotten nowhere. Could it be that big a mystery? It was hard to find but easy to accomplish. Here's how. If you’re fighting with Google Analytics, you’re obviously smart and technical. If you have any interest in digital marketing and SEO, you might like my SEO company in Central MA, Mxt Media. The code you’re looking for is right here. You’ll need two ga(create) functions and two ga(send) functions. The second of each is slightly different than the first. // Replace Y's with your account number. "b" can be anything you want. // Standard code. No change necessary. // "b" can again be anything you want, but it MUST match "b" above. Add this code to your Google Analytics tracking code <script> tags. You’ll already have the standard create/send lines, provided by Google. Replace them with the example above and remember to replace all those X’s and Y’s with your proper Google Analytics UA tracking code numbers. Tracking in two places means defining two tracking objects. Per Google’s API/documentation, if you use more than one tracking object, all but the first need a name. That’s the part I was missing. Ok, but what does it mean? Multiple Google Analytics tracking objects. The ga(create) lines will create two tracker objects. The first tracker will be the default tracking object. Therefore, it does not need a name. The second tracker will have the name of b. Again, I’m a relative noob, so I’m not sure why one needs a name and the other doesn’t. But so says the mighty Goog. 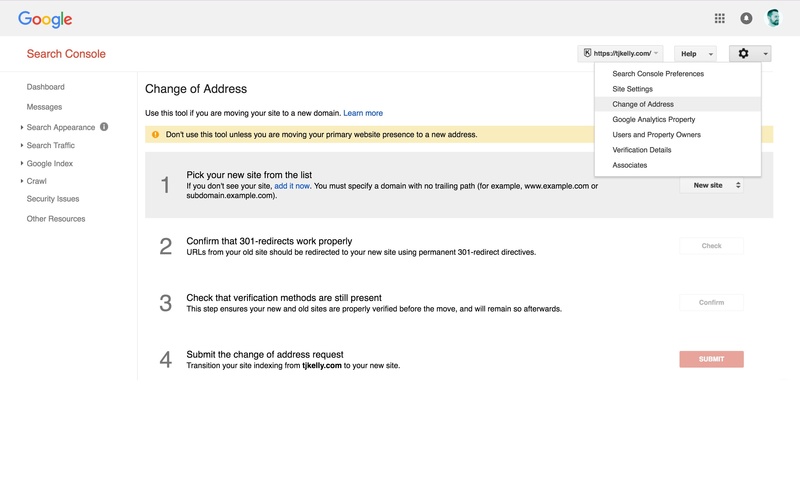 Google updates their analytics code and tracking system periodically. It has improved over time and become much easier to work with. Older versions were harder to use. And therefore, more people has questions and more people published those questions and their answers. Fast-forward to 2014, and searching for things like “google analytics two tracking codes on same page” brings up A LOT of results from 2010 an 2011. Helpful in theory, perhaps. But when the API and tracking code are totally different, those answers don’t solve the problem. Thanks to this post on Stack Overflow for ultimately solving the mystery. The original question links back to the dev guide, under Advanced Configuration – Web Tracking (analytics.js). But frankly, I found the dev guide hard to follow. Maybe I’m too much of an Analytics noob, but the documentation never helped me much. I hope my answer helps you! Google mentions different account owners for different sections of a site (marketing vs. IT vs. sales, perhaps?). In my case, I goofed and swapped UA numbers a few months back. Now tracking both old and new UAs. I’ll be happy to see an example of this new code (analytics. js) for multiple trackers. Did you find something since january? Thanks in advance for your help. Thanks for your comment, Syl, but I’m not sure I understand. This post is an example of the new analytics.js code. See Google’s documentation for more details. Sigh this doesn’t seem to be working for me today :/. Anyone else having trouble? Thanks for this, setting this up so we ca have a new account on a domain, and continue to have the old property on that account with the historical data (still can’t move properties to new accounts). Thanks a lot, TJ! The official Google Analytics Help states it is possible to “install multiple instances of the tracking code on a web page” but doesn’t bother explaining how … Problem solved! Thanks, now I can embed Google Analytics into draft.sx pages. Finally! I’ve been looking for two days for a good explanation of how to do this. So thankful! Can I include more than 2 tracking codes of Google Analytics on one page? Thank you. Hi Jack. Yes you can. The process is the same for adding a second, third, and 300th set of tracking codes. You’ll need two ga(create) functions and two ga(send) functions. You’ll need 10 ga(create) functions and 10 ga(send) functions. // Replace Y's with your account number. "c" can be anything you want. // Replace Y's with your account number. "d" can be anything you want. I have redirected site from abc.com to xyz.com and remove abc.com from live. But the bothe are same site, i removed abc.com site from live. I have Google analytics code for abc.com, now i want to track xyz.com. Shall i create new GA for xyz.com site? I’m not actually an analytics expert, so please ask some other people too. But I think the answer is NO you don’t have to create a new account or property. As far as I know, the same GA code you used on abc.com will continue to work just fine on xyz.com. And i have one more doubt in Webmaster. abc.com has submitted already in webmaster, but now i want to give xyz.com to webmaster or not? Thank you for this, you’ve successfully done a better job documenting this than Google has. // Replace Y’s with your account number. “b” can be anything you want. Is this just not necessary or did it cause you problems. What caused you to drop the ‘auto’? Thanks for your comment, Nate. Anything after the second parameter is optional, according to Google’s docs. Honestly, your question caught me by surprise. I don’t think the 3rd param was listed when I wrote this almost 2 years ago. When I saw your question, I panicked that I had been doing it wrong. Instead, I think Google has updated their API a bit and it now accepts (and therefore lists) new params. I can confirm that my analytics are still working properly without adding the new param. I’m sure it could be useful for Analytics power users, but that’s not me. Barebones is just fine for my use case. Thanks again for asking. Hope my article and answer are helpful. If your Tracking ID and your Default URL setting are out of sync, you don’t get valid data in your Analytics account for the Default URL. Hi Nate. I’m sorry, I have absolutely no idea. I’m far from an expert at Analytics. I don’t think I can be of any help. Have you tried the r/Analytics community on Reddit? Ask your question there. They should be able to help you. Hello TJ, thanks for sharing the tip. Worked fine with a website I have, that was not showing data for the second tracking code. Glad to hear it, Carlos. Thanks for your comment. Glad it was helpful for you! Why do you need multiple tracking codes? I’m trying to find the answer after seeing different tracking codes on some sites, and wondered whether it was intentional or not. Thanks for your comment, Aidan. The most common use-case I’ve seen is for businesses that employ multiple vendors. If you have one company running PPC campaigns and another doing SEO work, they might each need to track analytics totally independently from each other. It’s rare, I know, but it works! GA keep ignoring the 3rd line. Thanks for your comment, @brianmathers:disqus. I don’t think you need a second property for this. I think you’re just going to end up with duplicates of the same tracking data. One (the old domain/GA tracking code) will have historical data going back to when you first installed it. The second (new domain/new GA tracking code) won’t have historical data. But looking at today’s data, I’d expect old and new tracking codes to be showing identical traffic data. Therefore, I see no need for the new one. Keep the old one that has the historical data on it. The exception to this is the 301 redirect. It might be stripping some referrer or other data. In which case, you’ve got it set up properly. I want to ask 1 question about my website. Can I add new analytic code to my site? Please help me how I can get rank in global? Yes, you can add a second analytics tracking code using this method. But it won’t help with ranking in google.com. That’s an SEO question, and the data in your analytics should be used to help you determine how to rank! Thanks, TJ Kelly for your fast and valuable reply. I have added another analytic account for my website and the code is fired through tag manager. However I am getting different data from the 2 analytic accounts. I’ve checked all the filters and made sure that the both accounts have same filters but the data is different from each other. Can you please explain why this is happening? No, I’m afraid I can’t. Are both sets of analytics trackers running through Tag Manager? No. only one is running. That could be the difference, then. I don’t have a ton of experience with Tag Manager, but if one tracking code runs on Tag Manager and the other runs on analytics.js embedded code, that could account for some differences. Have you checked to see if any of your own traffic is represented? I.e. are you filtering out your own visits to the site? Tag Manager may automatically filter out some traffic that the embedded version doesn’t (but I can’t confirm that…just speculation). I needed this to both create a new property for a completely new website design, and keep some historical data updated in a new property. Glad it helped, Peter! Thanks for your comment.